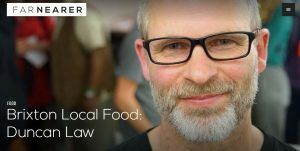 What’s the future of local economies? And what’s next for REconomy? 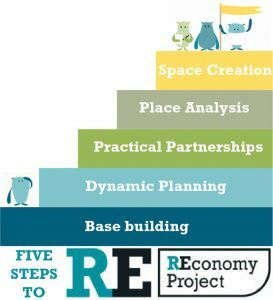 Three years ago the UK REconomy Project set out to explore ways communities could best support the transformation of their local economies. As the funded element of this phase of REconomy comes to an end we brought together 20 REconomists from across the UK to look at what support is needed now across the movement. Read our collective report. REconomy responds – Our new blog out today outlines what’s next for REconomy and how you can get involved in the discussion. A Local Economic Blueprint is project that aims to evaluate the economic potential of different sectors within your local economy and identify opportunities for new, community-based economic activity. Download our new guide designed to inform, guide and support you and your group through a self-facilitated process. We’ve scoured the fundraising landscape in the UK to pull together over 200 different grants, equity programmes and other platforms open to REconomy style enterprises and projects. The world of fundraising moves pretty fast and we hope this database will enable you to find the funding you need to create community-led economic change. Our building blocks to community-led economic change. Base building, dynamic planning, practical partnerships, place analysis and space creation! These five steps encompass learning from three years of REconomy work across the UK. They are the building blocks to helping transform local economies from the bottom up. Find out more. We’ve revamped our Events Toolkit and included a new chapter on post event activity. This guide will help you to engage your local community, businesses and other organisations in REconomy work through your event. Download your copy now.